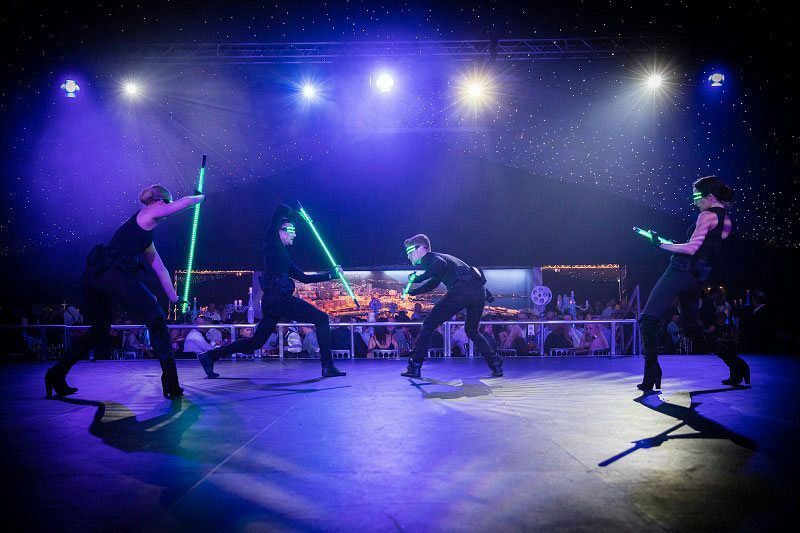 For a Christmas party night in Bristol that’s completely out of this world, then look no further than this incredible ‘Journey to the Moon’ themed party extravaganza! Here, strange and wonderful aliens will welcome you on arrival to the adventure in the beautiful and glittering star system. 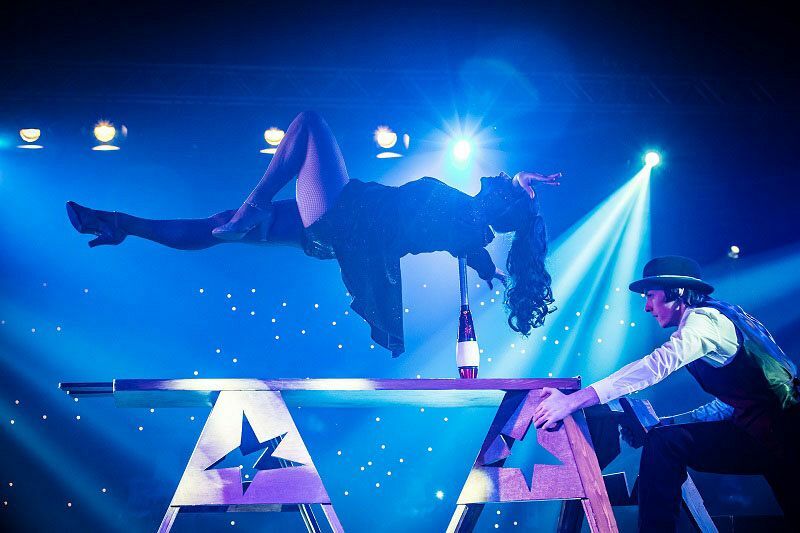 Gaze around at your surroundings and take in the spectacular theming and scenery, whilst enjoying a selection of hot and cold canapes and watch in awe at the outstanding aerial acrobatics. It won’t be long until you’re seated for a sensational three-course dining experience under the Milky Way and experience jaw-dropping performances under the vintage rocket ship as it orbits through the ethereal skies. 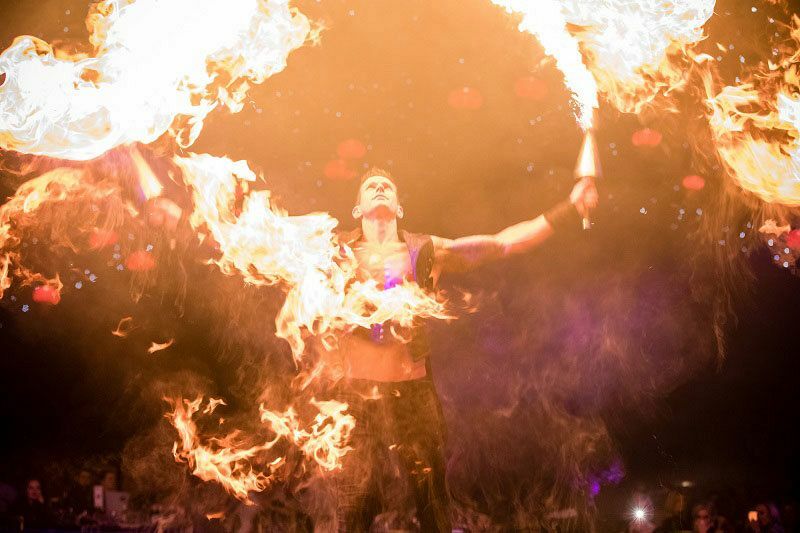 Be mesmerised as the aerial acrobats entertain in their stunning and eye-catching costumes and the mysterious life forms in our galactic and be amazed with a spectacular and heart pumping full cast finale that will take your breath away! A delicious cheese buffet will be served after dinner, along with freshly brewed Fairtrade tea and coffee. As the night continues, a glamorous casino and disco awaits, where you’ll be able to try your hand at blackjack and roulette or simply party the night away on the state-of-the-art dancefloor that features intelligent lighting and get ready to let your hair down. If you make it into the early hours, then you’ll be rewarded with a tasty survivor’s breakfast of either grilled bacon or vegetarian sausage in a brioche bap! 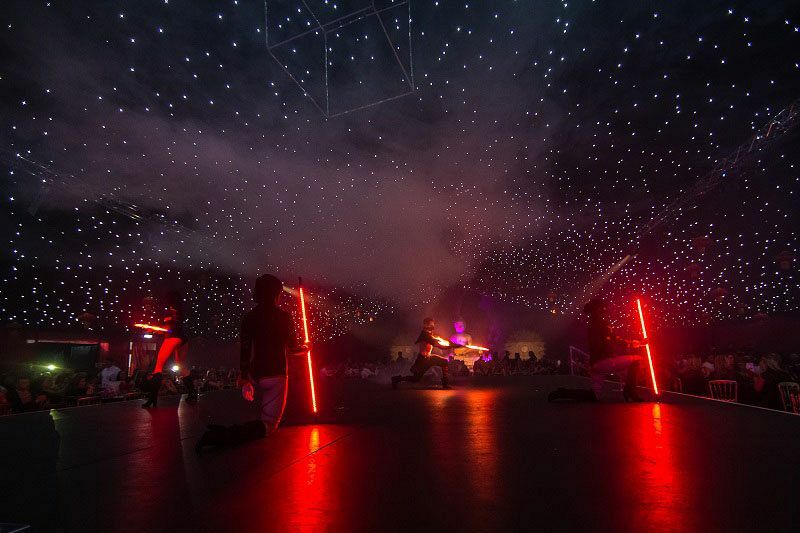 Send an enquiry through today to book your tickets to this incredible intergalactic journey and experience an unforgettable night like no other!